Peggy Pearson is a winner of the Pope Foundation Award for Outstanding Accomplishment in Music. Lloyd Schwartz, who received the 1994 Pulitzer Prize for Criticism, called her “my favorite living oboist.” Ms. Pearson gave her New York debut with soprano Dawn Upshaw in 1995, a program featuring the premiere of John Harbison’s Chorale Cantata which was written specifically for them. She has performed solo, chamber and orchestral music throughout the United States and abroad. A member of the Bach Aria Group, Ms. Pearson is also solo oboist with the Emmanuel Chamber Orchestra, an organization that has performed the complete cycle of sacred cantatas by J.S. Bach. Ms. Pearson is Director of Winsor Music, Inc.; she is also Artistic Director of, and oboist with the Winsor Music Chamber Series in Lexington, Massachusetts, and the Greenleaf Chamber Players, currently in residence at Purchase College, NY. She is a founding member of the chamber group, La Fenice, with performances at Winsor Music, the Skaneateles Festival in New York, Maryland’s Eastern Shore Chamber Music Festival, and the Union College Series in Schenectady, New York. Ms. Pearson has toured internationally and recorded extensively with the Orpheus Chamber Orchestra, and has appeared with the Boston Symphony Orchestra and the St. Paul Chamber Orchestra as principal oboist, the Chamber Music Society of Lincoln Center, and Music from Marlboro. 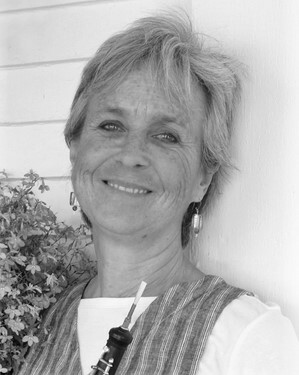 In addition to her freelance and chamber music activities, Peggy Pearson has been an active exponent of contemporary music. She was a Fellow of the Radcliffe Institute in contemporary music, and has premiered numerous works, many of which were written specifically for her. She is featured on a recording of John Harbison’s music entitled First Light, with Dawn Upshaw and Lorraine Hunt (Archetype Records). She has premiered and recorded Quartetto for oboe and strings by Mario Davidovsky (Bridge Records), John Harbison’s Snow Country (Archetype Records), Peter Child’s Sonatina (CRI), and Ivan Tcherepnin’s Flores Musicales (CRI). As director of Winsor Music, Inc., Ms. Pearson organized the Winsor Music Consortium (a project to commission works for oboe) and in 2000, premiered its first commissioned work, Quartet for Oboe and String Trio, by Yehudi Wyner. She was a founding member of the Emmanuel Wind Quintet, an ensemble formed to study and perform the Schoenberg Wind Quintet, and winner of the Naumburg Award in 1981. The Emmanuel Quintet collaborated with the Guild of Composers, and worked with other composers including Milton Babbitt, Mario Davidovsky, Gunther Schuller, John Harbison, Fred Lerdahl and John Heiss. She has been on the faculties at Songfest, The Tanglewood Music Center (Bach Institute), the Conservatory of Music (University of Cincinnati), Wellesley College, the Composers Conference at Wellesley College and the Longy School of Music. She is currently on the faculties at Boston Conservatory and MIT (Emerson Scholars Program).